A good relationship between a landlord and tenant is a good start. To achieve a good relationship each should make their own enquiries. The tenant should be satisfied that the property meets their aspirations. The tenant should also be satisfied that the payment of the rent is within the tenants means. Possession is often described as “nine tenths of the Law”. This is no truer than in the case of Landlord and Tenant law. The eviction of an unsatisfactory tenant is a headache for landlord and can be a very costly experience. Therefore a prudent landlord should make appropriate enquiries in relation to the ability and character of the proposed new tenant. Dramatic changes to the landlord and tenant relationship for residential properties were introduced in the Residential Tenancies Act of 2004. It is a complicated and indeed clumsy piece of legislation but notwithstanding that it is the Law and it does set out rights and obligations on the part of both landlord and tenant. 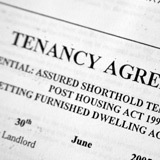 Disputes between landlords and tenants are now referred to the Residential Tenancies Board. This is complicated. It is prudent to have legal advice if going to this forum. Hopefully it won’t be necessary.